I have to tell you I am not a Ferrari fan. If I wanted a Formula One style steering wheel and lap timer, I would race open seaters, or go carts. Plus Ferrari's have this annoying habit of sounding like screaming cats. Taking a drive in a 599 recently convinced me of that. 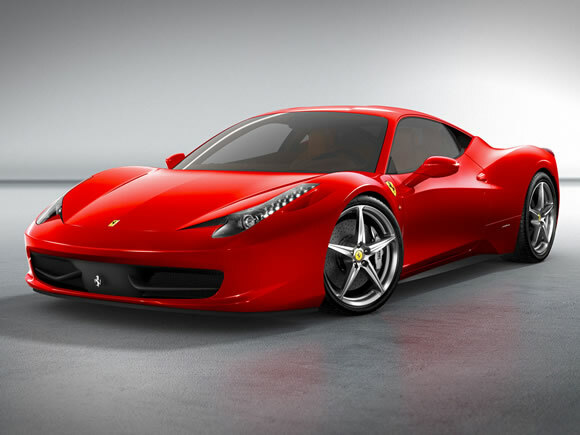 Right, so now I have convinced you I am not a Ferrari fan let me tell you about the Ferrari 458 Italia. It's beautiful. Pininfarina staff must have had pixie dust sprinkled on them because this really is an amazing looking car. Yes it has a top speed of 203mph, 562bhp from its 4.5-litre V8, and only weighs 1380kg but it has all the F1 trickery that Ferrari drivers love so much and three exhausts to get even closer to the F1 sound. So because it's a Ferrari I'm just going to look at it and imagine it parked on my deck so I can stare at it instead of the TV. Beautiful. Is it just me or does this car get even better looking the more you see it?